Brigham Young University, Biology/Spanish – B.S. 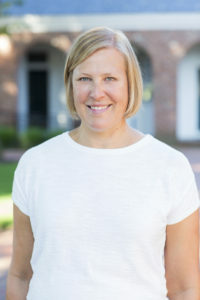 College of William and Mary – M.Ed. I have been teaching both Biology and Spanish for 18 years in both public and private schools. I have always enjoyed place-based and experiential teaching and am excited to work in a program that emphasizes both. Our watershed is an amazing lab for our students. My favorite part of teaching is sharing my own curiosity about nature I hope to instill this same curiosity in my students. I also value the relationships I’ve built with students over the years and I love to see them grow and make the world a better place.